MAUNGDAW, Arakan State — One of the consequences of the Oct. 9 border outpost attacks in Arakan State’s Maungdaw Township has been renewed distrust between self-identifying Rohingya Muslims and Arakanese Buddhists, despite attempts to rebuild relations after deadly riots erupted in 2012. According to the government, 10 border police were killed in the attacks, 7 soldiers died during subsequent “clearance operations,” some 70 “suspects” have been killed, and more than 300 people have been detained at various police stations in the township. 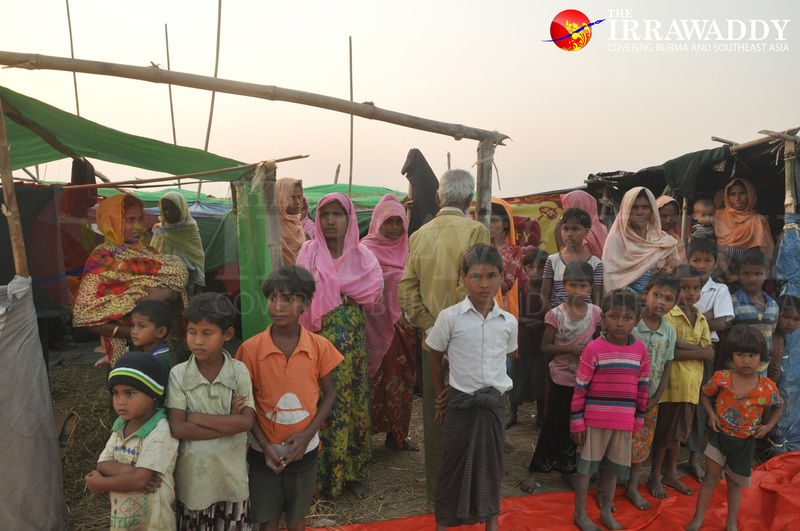 Some 1,200 displaced people from Dar Gyee Zar village—which was almost entirely razed—recently made temporary camps in Abujara and Wa Piek villages in Maungdaw. Sources say that more than half a dozen other villages were burned down in the northern part of the township. Human Rights Watch said that on Nov. 13, it had identified 430 destroyed buildings in three villages in northern Maungdaw by analyzing high resolution satellite imagery recorded on Oct. 22, Nov. 3 and Nov. 10. On Nov. 21, the organization identified more than 800 more such destroyed buildings in five villages. The Burmese government rejected the report’s findings. Although the government has denied allegations of violence against villagers, and even gone so far as to claim that extremist Muslims burned down their own buildings to frame the army, several international media outlets have reported that thousands of Rohingya Muslims have fled for their lives to neighboring Bangladesh since the attacks and that dozens of Muslim women have been raped and otherwise sexually assaulted by members of the military. The Irrawaddy visited some of these camps for two days to gain a better understanding of what has been happening on the ground since the recent flare-up of violence. On Oct. 19, about 200 Arakanese Buddhists from Maungdaw gathered at a religious hall to discuss the current obstacles facing them, including the need for food. Others asked organizers to report to the government that they were concerned for their safety and wanted additional border police in their villages. Local Buddhists at the meeting said that few of these villagers experienced violence during the attacks, but they feared the unpredictable conflict gripping much of western Burma. 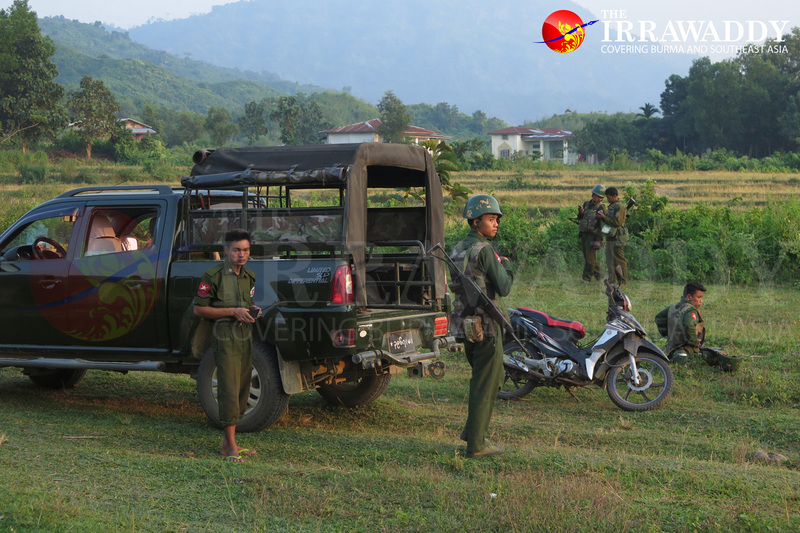 An Arakanese woman, Daw Khin Than Ye of Ywat Nyo Taung village in northern Maungdaw, told The Irrawaddy that it was difficult to reach her village because security forces had allegedly been ambushed on occasion by militants, discouraging bus and boat drivers from traveling there. “I can’t sleep at night, and I’m depressed. So I came here [to Maungdaw hospital] to receive medical treatment for a while. But now no one dares to drive back to my village,” she said. Daw Khin Than Ye said that while her village had not been attacked, she feared violence could ignite there at any time, which was why she and other villagers asked the government to ramp up security measures, including adding more border police. The Irrawaddy spoke with U Soe Win, who lives in Aung Bala village and is the administrator for the 12 communities in Shwe Zar village tract. He said there have been flashes of communal violence in Maungdaw over the past several years but that Shwe Zar tract had successfully avoided severe conflict because Buddhist villagers there had close relationships with Muslim residents. Now, he said, it will take time to rebuild trust between the two communities. “Sometimes, a woman might cross a Muslim village alone, but now, there’s hesitation,” he said. Most of Aung Bala village depends on fishing in the Nat River for survival, but the Burma Army has locked down access to the river as it hunts for the perpetrators of the attacks. Aung Bala villager U Aung Thein said that many Arakanese face financial difficulties because they neither own paddy fields nor have other businesses and must look for new ways to earn money. Whenever violence has resurfaced in Maungdaw, some residents—including those in the small Hindu community of around 5,000—have turned to various odd jobs to make ends meet, including hairdressing in rural areas, collecting empty cans and bottles and reselling them in the market, and working as housekeepers at teashops and hotels. 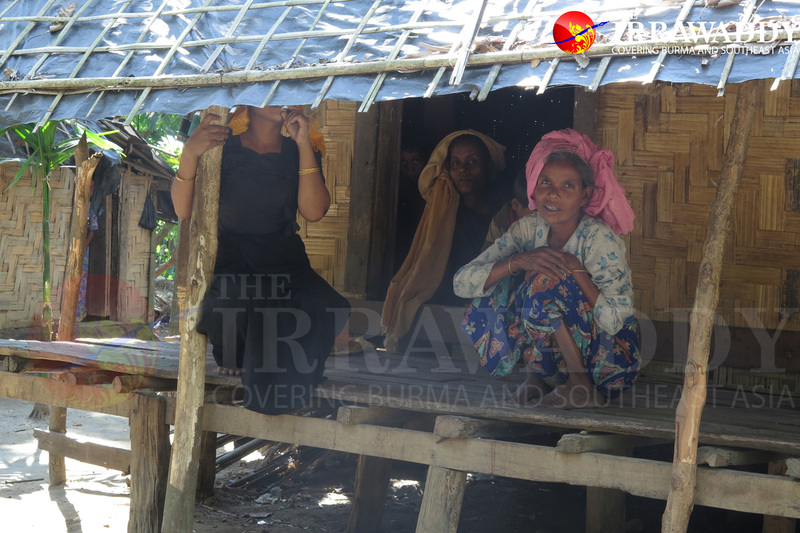 Residents have also scattered in the aftermath of the violence, often fleeing to neighboring villages, which has placed a heavy burden on people who are already poor, said Maungdaw resident U Ko Nyi. “Think about them [the villagers who have been displaced]. They don’t receive food supplies from any group except from neighboring villages,” U Ko Nyi said, highlighting the lack of international aid which has been allowed into the region. The Irrawaddy visited a main jetty in Maungdaw and met with workers there, who said the border gate was closed until Nov. 23 and that no commodities could flow through on either side. Some people have tried to work as trishaw drivers, but it is still hard to come by steady income. The government has also barred international journalists and relief groups from traveling to the northern part of Maungdaw while the Burma Army carries out operations. It was suggested to Irrawaddy reporters that they not travel there in order to avoid unnecessary risk. 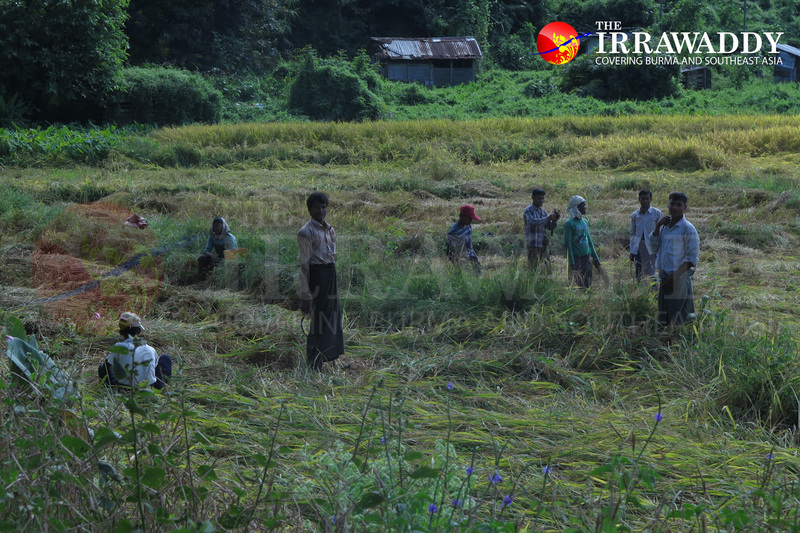 The Irrawaddy tried to contact the spokesperson of the Islamic Religious Affairs Council for Maungdaw to learn about the challenges specifically facing Muslim villagers, but he was traveling at the time of reporting. His younger brother, U Ko Nyi, spoke with The Irrawaddy instead. U Ko Nyi explained that many of the bad things happening on the ground have not been published in newspapers, stating that hundreds of villagers from the northern part of Maungdaw, were killed within the last month, and women were raped by government soldiers. But this has been difficult to substantiate as journalists and outside investigators have not been allowed to access the area. It is unclear what has become of the original perpetrators of the border outpost attacks. While the Burma Army has carried out “clearance operations” in the area, some have alleged that militants have continued to ambush government forces. Others say that the perpetrators of the border outpost attacks have already escaped to Bangladesh and now villagers have been caught in the crosshairs. 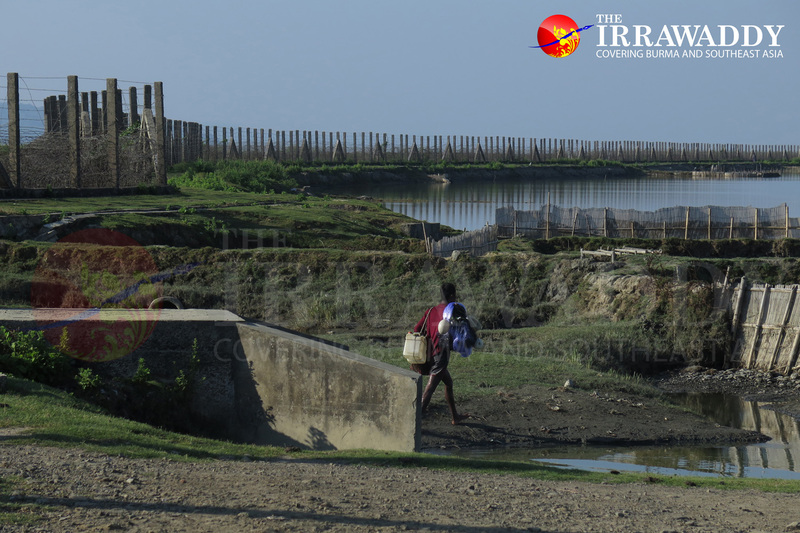 A border fence has not been able to stop illegal crossings between Maungdaw and Bangladesh—people normally use a rubber long boat to pass through the fence. Barbed wire has been known to lose its effectiveness in the local climate, because salt vapor damages the iron, leading the government to annually allocate money toward renovating fences of this sort. Head of the Maungdaw Township police force, Police Major Kyaw Mya Win, said he cannot deploy 24-hour border security near the fence and that the length of the border has caused challenges. This has resulted in the police only being able to secure main waterways and gates. “We would like to build a brick wall if the government can provide the budget for it, but as far as I know, the government doesn’t have this kind of money,” Police Major Kyaw Mya Win said. The immediate future of the crisis in Arakan State seems bleak. Experts have warned that a lack of education in the region has made it possible for extremists to exploit unsuspecting victims. 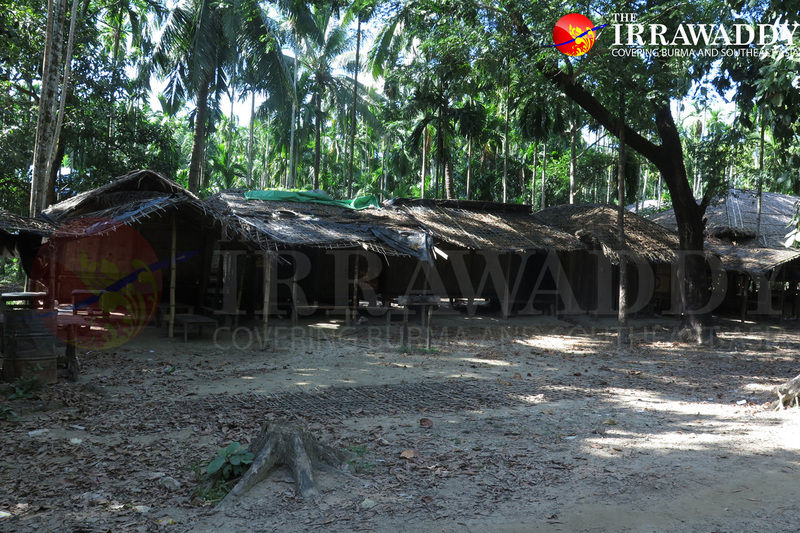 The government has built some 400 educational schools across Maungdaw district. Most of the students are Muslim, though The Irrawaddy was unable to get a precise count. An influential Buddhist abbot, U Kay Tu of the Myo Ma monastery in downtown Maungdaw, said that while some religious leaders teach radicalism, local residents should avoid “a mindset of hatred toward other religions” and instead set a precedent of religious tolerance in Maungdaw. U Esak, who is Muslim and a mosque trustee for Ward 1 in Maungdaw, said that the key to extinguishing conflict is following Burma’s fundamental principles and communication between the government and local Muslims. Drawing on his own experience of never having traveled outside certain areas of Maungdaw—even to the state capital of Sittwe—U Esak added that the National League for Democracy government should end travel restrictions and grant freedom of movement to Muslims in Maungdaw. In an effort to investigate the regional crisis, Burma State Counselor Aung San Suu Kyi launched the Arakan State Advisory Commission, headed by former UN General Secretary Kofi Annan, in August in order to provide recommendations to the Burmese government on addressing the conflict in accordance with international standards.